Islamic Anonymous hackers on Sunday revealed hundreds of Israeli email addresses and their passwords on the website of Anonymous Arab. Most of the addresses and passwords listed are active accounts. 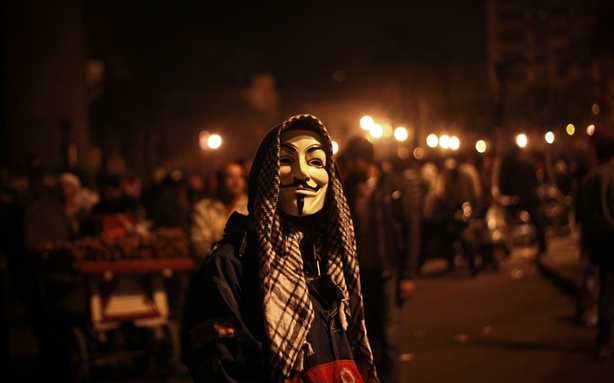 It is yet unclear what website was hacked to obtain the information published on the website of Anonymous Arab. Roni Bachar, the manager of the cyber-attack department at Avnet, said in a statement, "There was apparently penetration of an Israeli site which cannot be determined at this stage, a site that requires identification by email address and a password, as is usual at forum, content and commercial sites." Bachar added that he doesn't believe that Facebook itself was hacked, "since the attack revealed only a small number of addresses, about 300, and passwords were determined through estimates and guesses of the brute force type." There are what look like numerous identity card numbers and phone numbers on the list that were apparently being used as passwords.Calling some of the numbers revealed that some were the account holders' old phone numbers (such as numbers belonging to the users' parents.